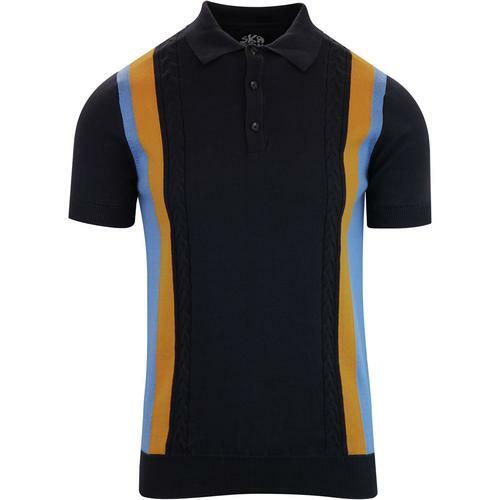 John Smedley 'Brightgate' Men's 1960s Mod colour block knitted polo shirt crafted from finest merino wool. 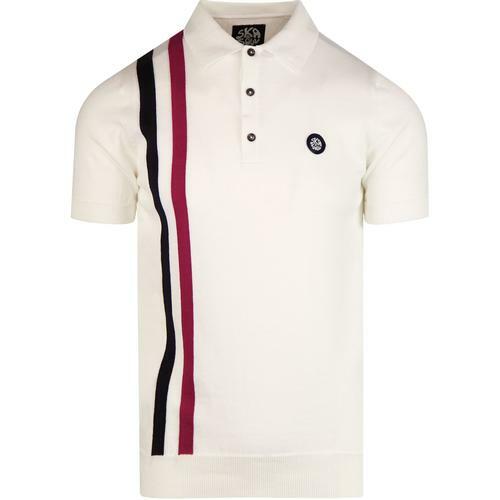 Made in Great Britain, the Brightgate' polo shirt is designed to offer an extrovert edge to a refined and sophisticated ensemble. The Retro colour block sleeves in sky perfectly compliment the classic indigo main body and the Mod fully fashioned polo collar adds the finishing touch. 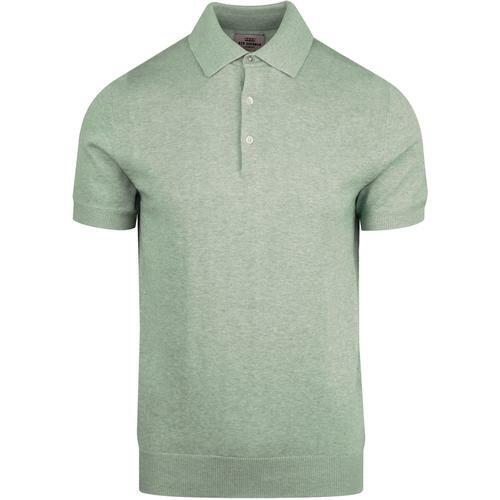 In John Smedley Standard Fit, the 'Brightgate; knitted polo shirt is comfortable and clean with simple 3 button placket and subtle ribbed trims. A John Smedley knitwear classic - The 'Brightgate' Merino Wool Knitted Polo Shirt. 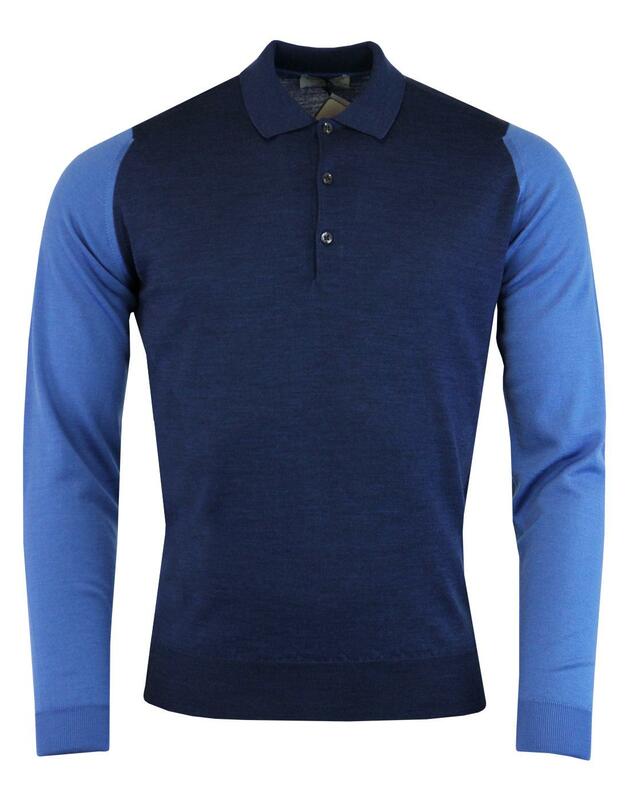 - John Smedley 'Brightgate' men's 60s mod knitted polo shirt in indigo. - Fine gauge merino wool knit. - Contrast blue retro colour block sleeves. 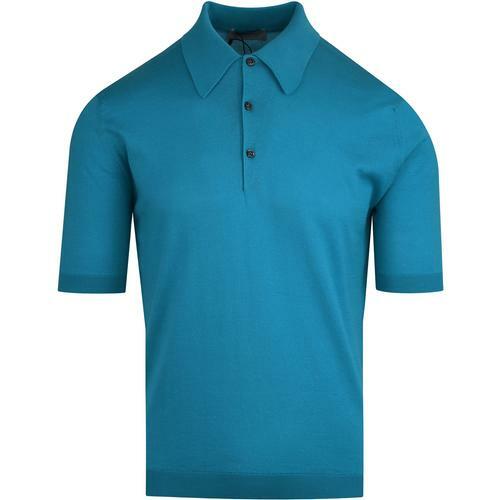 - SKU: Brightgate Colour Block Polo Shirt.